Thanks to our experienced and committed staff, as well as acknowledgment from our loyal customers, we have won this prestigious award. As a proud member of Penske Automotive Group, Mercedes-Benz of Chantilly employs best practices to ensure that each of our clients in Centreville, Fairfax, Ashburn, South Riding, and Manassas is able to enjoy the most amenable and comprehensive luxury automotive experience we can possibly offer. 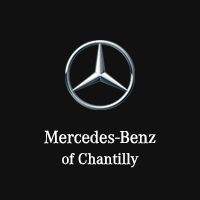 The experienced team at Mercedes-Benz of Chantilly recognizes that our clientele has a set of expectations that exceeds the average buyer’s. We’re committed to exceeding those expectations for as long as you own your vehicle. Schedule your Mercedes-Benz for Service or purchase Mercedes-Benz parts and accessories online. Shop new Mercedes-Benz vehicles as well as shop for used, certified, and pre-owned Mercedes-Benz vehicles from the convenience of your home. We want your satisfaction because nothing makes us happier than seeing a smile on the faces of our customers.